DALLAS- (June 9, 2015) – The American Society of Safety Engineers (ASSE) today named Jack Reiter, president and CEO of Machine Safety Management, the winner of the 2015 Award for Innovation in Occupational Safety Management for creating software that reduces machine guard accidents. National Safety Council has an interesting article on their website worth reading. The article is titled 2015 CEOs Who “Get It”. 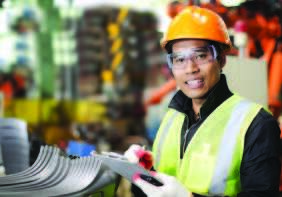 Michael S. Burke, CEO of AECOM, is quoted as saying, “Developing a culture of safety by establishing and utilizing a proactive safety program within the work environment is a key component to any leader’s future success.” Contact us for help creating a comprehensive machine safety plan. Minnesota Department of Labor and Industry Workplace Safety Report — 2012 Figure 6.5 listed 29 CFR 1910.212 Machine guarding — general requirements as the 4th most frequently cited standard. Contact us for help creating a comprehensive machine safety plan to help reduce this issue. John Czerniak, senior safety consultant, National Safety Council, Itasca, IL. lays out four steps for creating an effective machine guarding program. Safety+Health presents a look at OSHA’s most cited violations and largest penalties for fiscal year 2014. Also: A Q&A with the deputy director of OSHA’s Directorate of Enforcement Programs. 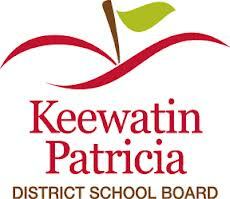 Close to 500 machines have been audited and guarded by Machine Safety Management and their authorized distributor in the Keewatin District Schools. They immediately saw the value of the software and implemented the program. The Ministry of Labour and the insurance company (Ontario School Board Insurance Exchange), were impressed with the school district’s documented due diligence as a result of using the software.